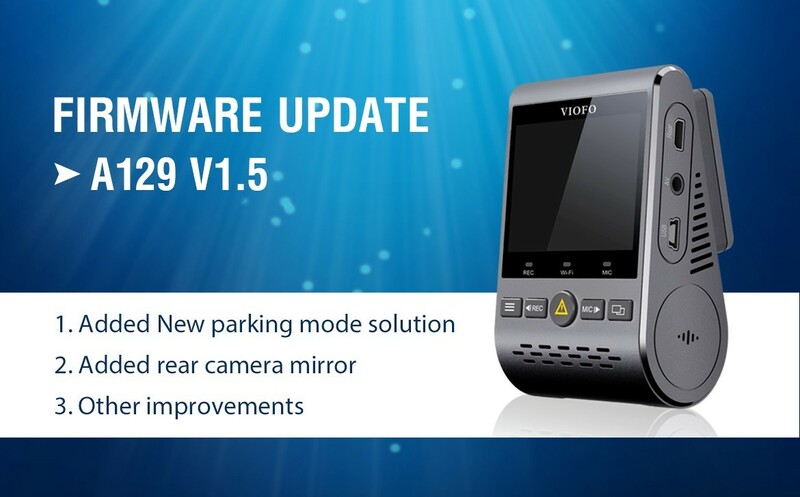 VIOFO A129 firmware V1.5 is just released, the new firmware support new V2.0 parking mode, and rear camera video mirror feature. For parking mode, we highly recommend to buy the VIOFO HK3 ACC hardwire kit cables. Below is the change log for V1.5 version. 1. Added: New parking mode solution, support VIOFO 2 wires and 3 wires ACC hardwire kit. 3. Added: Support show SSID, Car License number, Customize Text on APP.